The United States did not want to engage in the Great War. The United States included many people of English, French, and German ancestry, so it was difficult to choose sides. The American people had a strong feeling of isolationism, believing that they should not become entangled in foreign wars. Woodrow Wilson was re-elected to the presidency by a narrow victory in 1916 with the slogan, “He Kept Us Out of War,” but within months the United States would be drawn into the conflict. Many Americans were enraged when a German submarine sunk the Lusitania. More than twelve hundred passengers boarded the British luxury ship sailing from New York to Liverpool, England. The German embassy placed advertisements in New York newspapers warning passengers they were sailing into a war zone, but not a single person canceled. On May 7, 1915, the Germans sunk the Lusitania, killing all on board, including 128 Americans. A later investigation showed the hull of the ship was filled with weapons to be used against Germany. Many Americans urged President Wilson to join the war. In the spring of 1917, the British decoded a secret message from Arthur Zimmerman, the German Foreign Secretary, to the government of Mexico. The Zimmerman note urged Mexico to declare war on the United States. 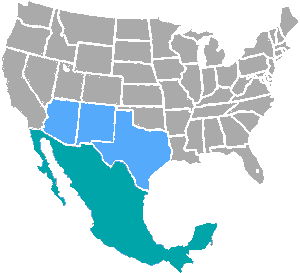 Once America was defeated, Germany would insist on peace terms that would force the United States to return Texas, New Mexico, and Arizona to Mexico. President Wilson spoke before a joint session of Congress on April 2, 1917, less than one month after beginning his second term in office. He asked Congress to declare war on Germany to keep the world “safe for democracy.” Great Britain and France were democracies, while a Kaiser ruled Germany and an Emperor ruled Austria-Hungary. Mr. Donn has an excellent website that includes a section on World War I and World War II. RMS Lusitania was a British ocean liner. 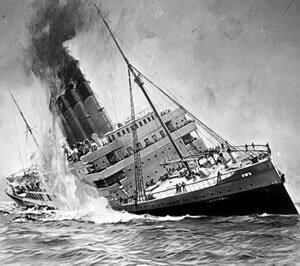 In 1915, the Lusitania was torpedoed and sunk by a German U-boat, causing the deaths of 1,198 passengers and crew. The Zimmerman note urged Mexico to declare war on the United States. Once America was defeated, Germany would insist on peace terms that would force the United States to return Texas, New Mexico, and Arizona to Mexico. This entry was posted in World Wars. Bookmark the permalink.